Cancer - Do they Apologize ? 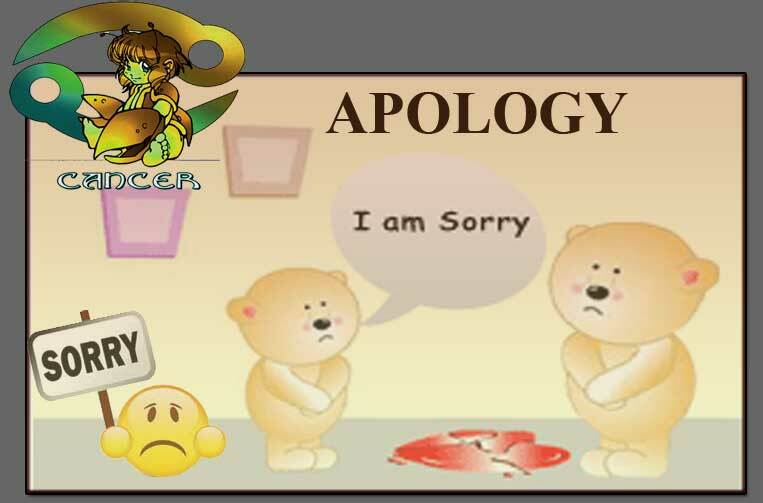 Cancerian's rather than asking sorry will make us feel when they are at a mistake. They are the legendary characters that burn hands and slash their fingers in order to display the quantum of their repentance which is dangerous.